Hall of Famer Hank Greenberg may be one of the most under rated stars in baseball history. With only nine full seasons in the Major Leagues (he lost almost a full 4 years due to WWII), Greenberg's lifetime statistics aren't record setting, but they are sure productive, including 2 MVP awards. He averaged over 35 homers and a staggering 140+ RBI's in his spectacular career, and in 1938 chased Babe Ruth's legendary 60 home run mark, finishing at 58. 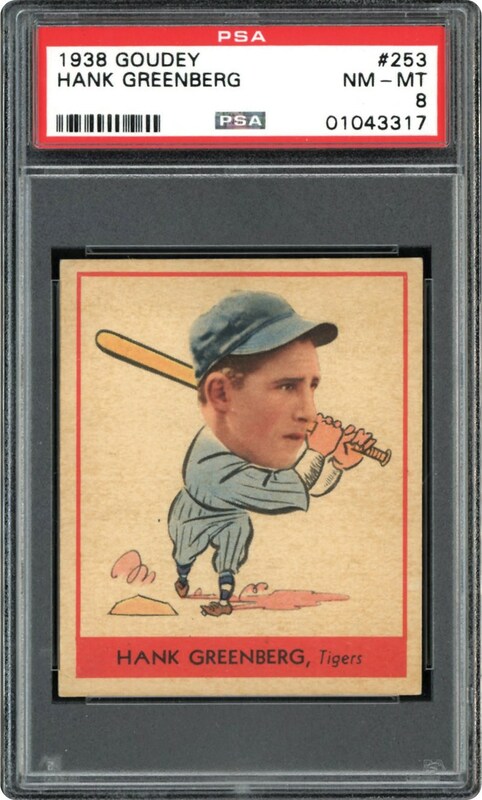 Among his most popular cards is this 1938 Goudey "Head's Up" offering that is presented here is a sparkling PSA NM/MT 8 holder. One of only eleven at this lofty plateau, it shares the distinction of being the finest of its kind! The brilliant Greenberg portrait pose proudly sports his classic portrait pose within the popular cartoon body, with the entire image atypically well-centered and free of any obtrusive surface blemishes. 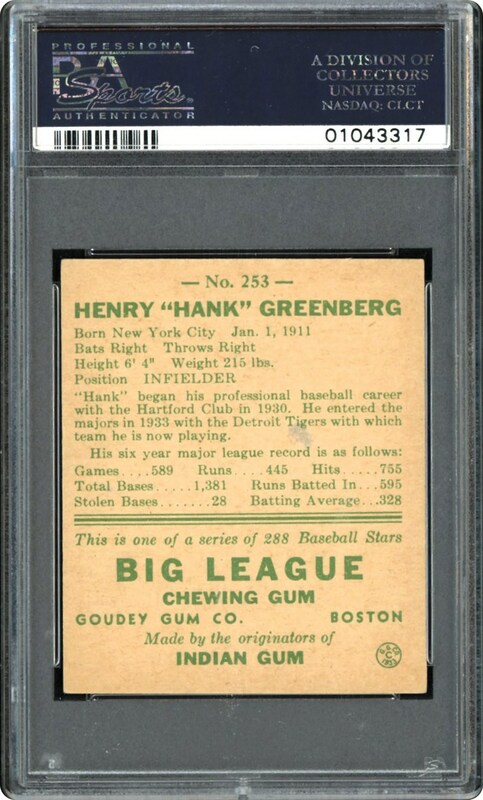 Don't hold back on this "pack-fresh" Greenberg gem that synonymous with "Hammerin Hank" himself, stands tall above virtually all of its nearly 170 PSA encapsulated peers!